Director S U Arun Kumar has a knack of approaching every project with a different plot, every time. As we know Pannaiyaarum Padminiyum and Sethupathi genres are completely different from each other, Sindhubaadh also has a different storyline and treatment. It comes out as an action thriller. Two distinguished talents, K Productions S.N. Rajarajan who has released Baahubali-2 and produced Pyar Prema Kaadhal in association with Vansan Movies Shan Sutharsan who has produced Sethupathi have co-produced this mega budget action thriller. Surya Vijay Sethupathi, son of Vijay Sethupathi plays a very important role right throughout the movie. Vijay Sethupathi and Surya have played the role of petty thieves in Tenkasi in this movie. Linga, who has played SI in the movie Sethupathi, now plays the role of a Thailand villain in this movie. He has put on 18 kg weight and have transformed himself into a rough and rugged outlook for this movie. It requires special mention here that he has also taken enough pains to learn the language, habits, lifestyle of the people of Thailand to best play his role in this movie. Vivek Prasanna also plays a very important role in this movie. With 80% of the post production work completed, to get that realistic touch, Director is travelling to Malaysia and Thailand to record the dubbing voices for the scenes captured in those two countries. George plays as the comedian in this movie. 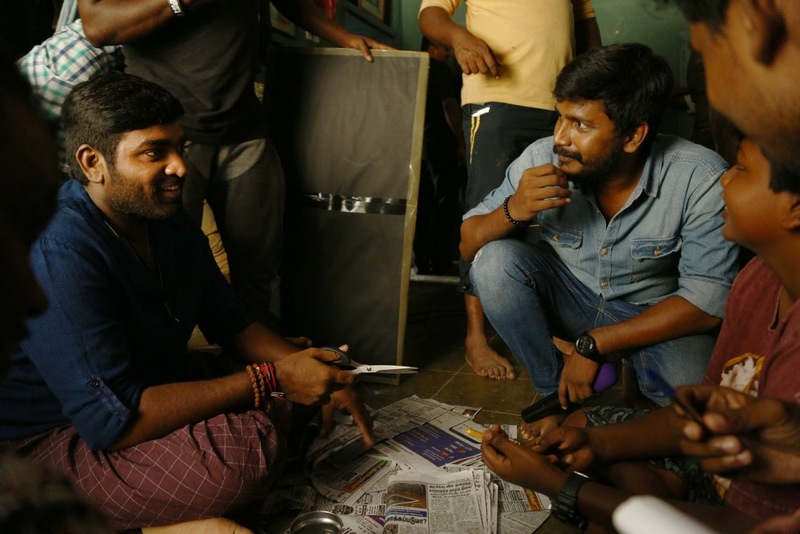 After the release, Vijay Sethupathi – George team's comedy scenes will prove to be a talk of the town. Malaysian artistes Ganesan and Subathra have played pivotal roles in the movie. Editor Ruben's work has received much acclaim with a teaser hitting viral proportions. His innovative approach is believed to be the reason for this humongous success. Vijay Karthik Kannan who's the celebrated Cinematographer for AR Rahman's music albums is taking care of the lens, after the movie Iravaakkaalam. He has taken utmost care in capturing the emotions, the environment and the people as this movie is shot in diverse locations encompassing diverse cultural backgrounds like Tenkasi, Malaysia and Thailand. This sets a different tone with capturing the lives of the people of Malaysia & Thailand, in contrast to just showcasing the exotic locations of the foreign countries, which has been the norm.